Dope might just have what it takes to be the surprise hit of the summer. Sure, it’s lead, Shameik Moore, is a virtual unknown and director Rick Famuyiwa is far from a household name, but the buzz for the film coming out of this year’s Sundance Film Festival was contagious. And with pop wizard Pharrell on music supervisor duties, as well as some recognizable cameos from rappers A$AP Rocky, Tyga, Vince Staples, and Workaholics’ Blake Anderson, there’s definite crossover potential. All signs point to a zeitgeist-grabbing movie that you’ll have to see just to figure out what everyone’s been raving about. 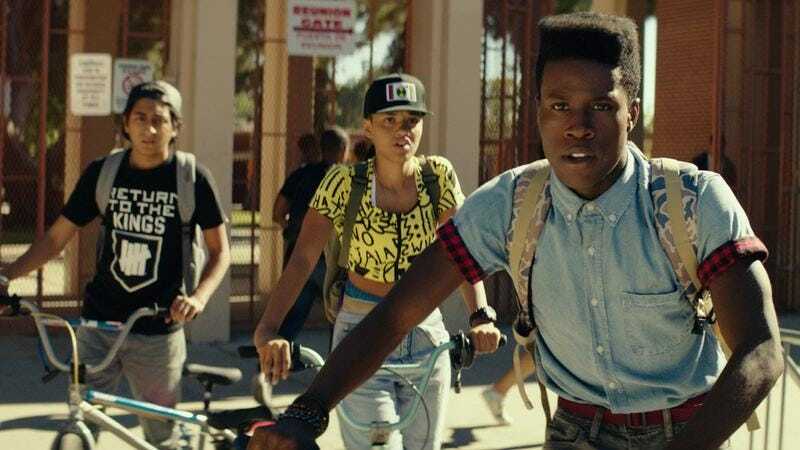 Dope opens in Chicago on June 19, but The A.V. Club and Open Road Films have an opportunity for you to catch it early on June 16. For your chance to win a pair of tickets to the advance screening, simply follow the link here and enter your information. Remember, seats are first come, first served, so be sure to arrive early. An official plot synopsis and trailer for the film can be found below.